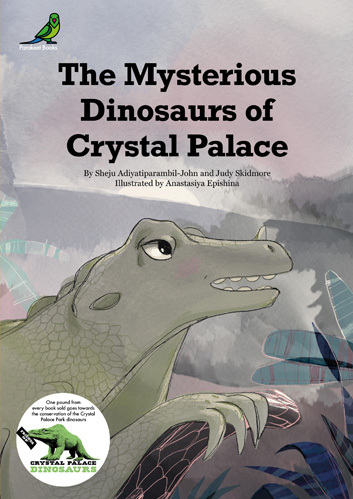 The Mysterious Dinosaurs of Crystal Palace is available to pre-order now!! 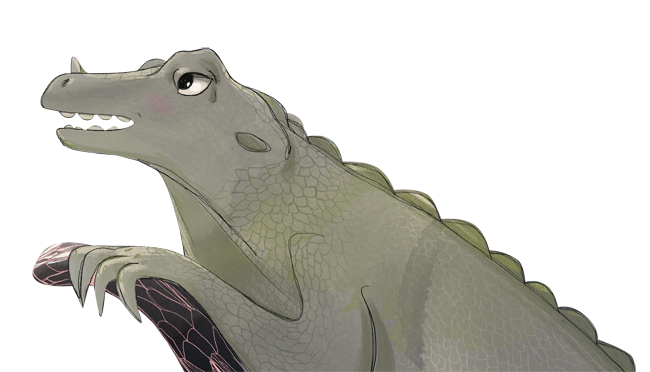 THANK YOU to everyone who entered, our dinosaur naming competition has ended now. We are sorting through all our amazing entries. Follow us on twitter, facebook or instagram to see who has been shortlisted or sign up to our newsletter. NEW BOOK! Available to pre-order now! The Dinosaurs of Crystal Palace will be published on the 12th of May. We will post out your copy as soon as it's published. "They laugh in the bath and they brush and they whoosh and they wash and they slosh and they splosh and they splash." 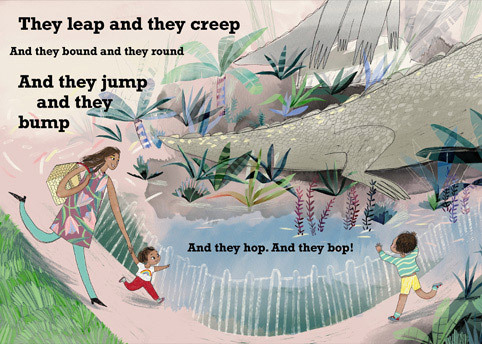 A rhythmic funny story about two siblings out for the day where they have an unexpected encounter with two other siblings… dinosaurs! 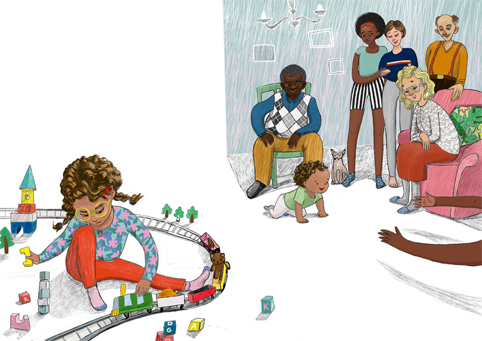 Children laugh and bop along to the flow of this book that features a family of colour. A pound from every sale goes to the Friends of Crystal Palace Dinosaurs for the restoration of the park dinosaurs. 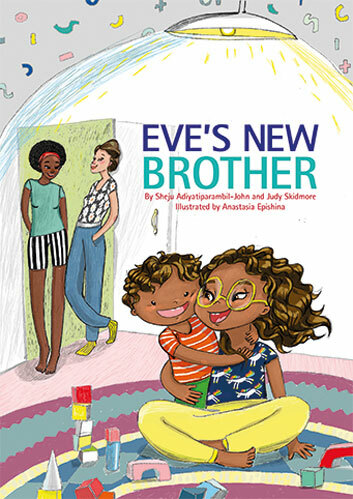 Eve's New Brother deals with the familiar-to-many story of a child meeting their new sibling. This story explores the emotions of Eve as she tries to accept this new small person and the difficulties she faces. The story is nestled among the tangible closeness Eve shares with her mothers. Her parents listen to her fears and encourage her to work around them, be patient and find a way to accept Stanley. Eve's parents are two women. 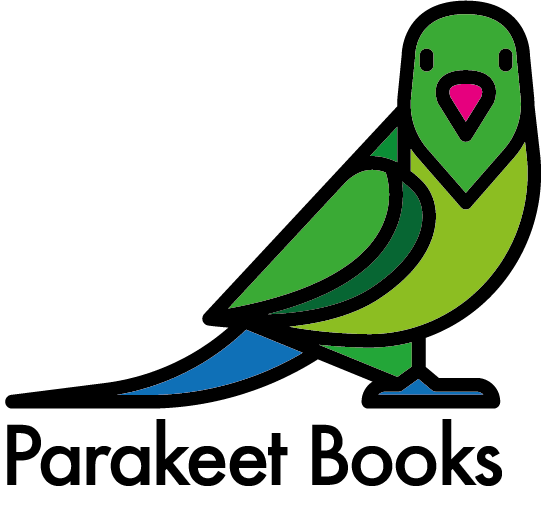 The whole idea behind us setting up Parakeet Books was to create inclusive books featuring diverse characters with all genders, ethnicities, and abilities represented. That includes different kinds of families too. The stories are not about the fact that the characters are 'unique' in anyway, but are standard kids adventures that just so happen to feature diverse families. We are also launching Scout's Bedtime. Join Scout while they get ready for bed with dad. Scout is impossibly cheeky and runs off at every opportunity. We then get to see Scout's amazing imagination while they play elaborate games with Flamingo and Jerry. Scout is a mixture of both our kids and for that reason we thought - why not make Scout gender neutral? The reader can decide what gender to assign to this totally cute kid. Scout's Bedtime is available as an add on reward or can be bought directly from parakeetbooks.com from November. 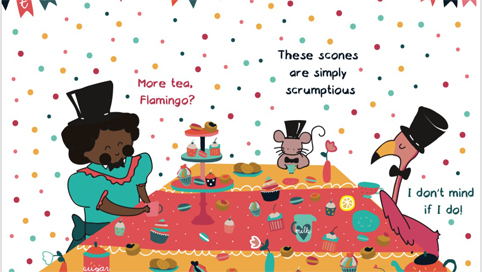 A beautifully illustrated story about love, families and food. 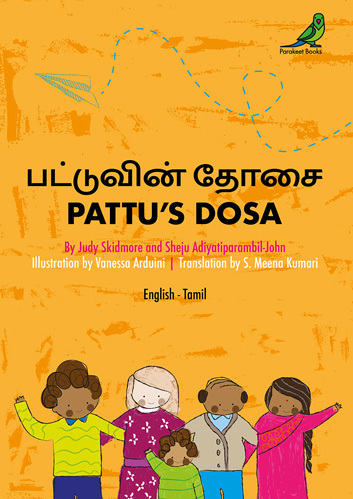 A perfect book to share with little children. And pancake lovers! Since we started buying kids books we realised how few of them show kids who look like our kids or families who looked like our family. So we decided to make our own. Some background to us: Judy Skidmore has been a graphic designer for the past 15 or so years and is branching out after having kids. Sheju John has worked in tech for 20 years, Sheju loves creating stuff and is loving this new challenge. Inclusivity has always been an issue they have felt to be important to everyone and has become even more so since they now have a family with mixed heritage. Sisters Judy and Alice do everything together. After a magical journey where they meet Jack Frost, they even save the precious seasons. 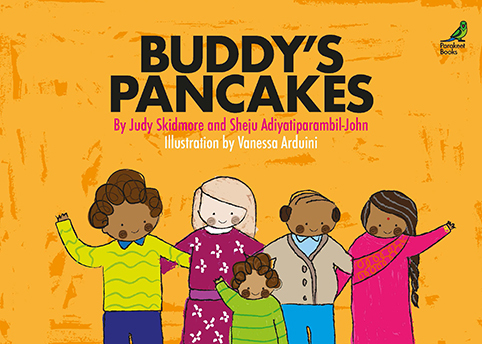 Join Judy and Alice for stories of bravery, kindness, sisterhood and friendship! 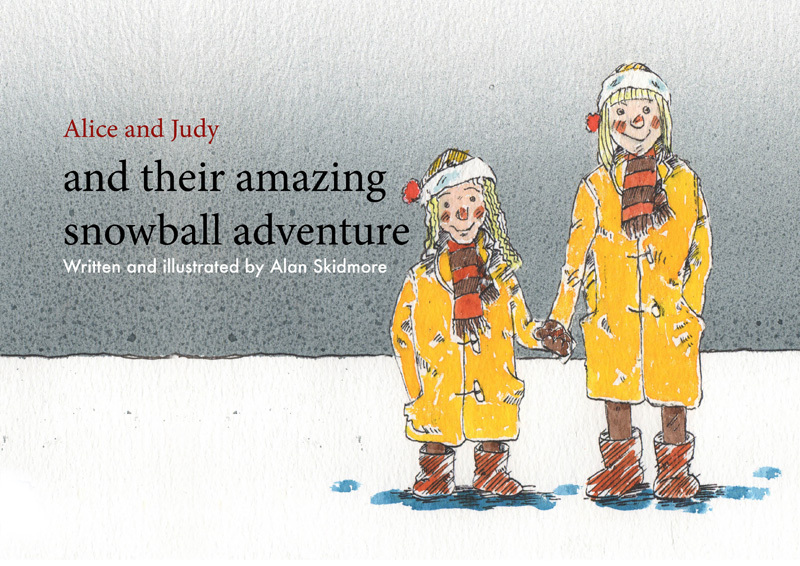 These charming stories are written and illustrated by Alan Skidmore. Alan lives in London with his wife Janet. He was born in Liverpool, has great Liverpudlian wit and is a wonderful storyteller. Alan wrote the Alice and Judy stories for his daughters, who are grown up now. He reads them to his grandchildren and we are now publishing them so other children can enjoy them. Alan spent most of his career as a scenic artist. He has painted backdrops for theatre and film sets and is a great artist in his own right working in watercolours, oils and inks.